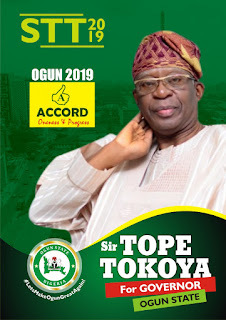 The Gubernatorial Candidate of ACCORD Party in Ogun State, Pastor (Sir) Tope Tokoya has raised alarm that some people are already using his candidacy as trade. 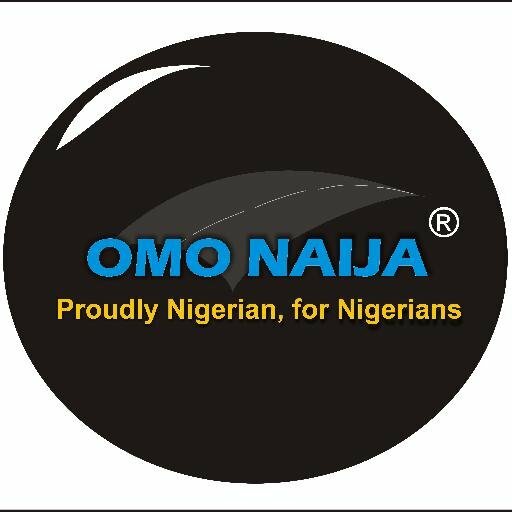 Tokoya Stated this through a press release he made available to pressmen in his campaign office at Abeokuta recently. "Gentlemen of the press, it has come to my knowledge that some individuals within our party state leadership have usurped the powers of the state working committee and are now going about hawking the governorship ticket I unanimously won at the party's primaries held last year." "The three musketeers have met with the SDP gubernatorial candidate and failed; they met with the two contending gubernatorial candidates of PDP and failed; took their empty ticket to APM gubernatorial candidate and also failed." "Presently they are hawking the ticket they do not have power on to the APC gubernatorial candidate whom I heard has agreed with their terms of selling the ticket I won overwhelmingly along with the tickets of other legislative candidates of ACCORD for financial consideration." "This is to formally inform all my brothers on the governorship race in Ogun state that ACCORD gubernatorial ticket and the tickets of all our legislative candidates are NOT FOR SALE. The great members of ACCORD freely and willingly gave me the mandate to be the party's flag bearer for the purpose of leading them to victory at the next election which will, by the grace of God, lead to my being the next Governor of Ogun state come May 29th 2019." "I hereby enjoin all our teeming party members, supporters and well wishers to remain resolute, focused and steadfast. Ours is God's mandate and He will not abandon the project He has started."